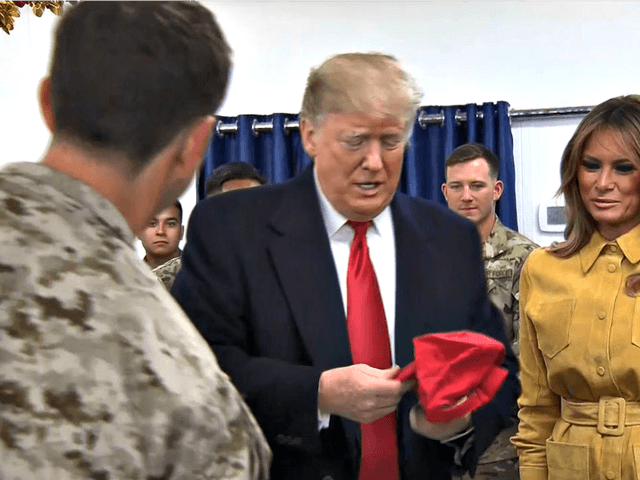 “If these brave young people ask me to sign their hat, I will sign,” Trump wrote on Twitter, defying CNN and other media reports complaining about his token of appreciation for soldiers overseas. “Can you imagine my saying NO?” Trump asked. He denied that he brought the hats to the troops, as some media outlets suggested. “We brought or gave NO hats as the Fake News first reported!” Trump said. The president’s son Donald Trump Jr. also ripped the media on Twitter.